The HyProCure procedure is minimally invasive and is typically done in 20-minutes or less. It is often performed in an outpatient setting under a twilight sleep or local sedation. 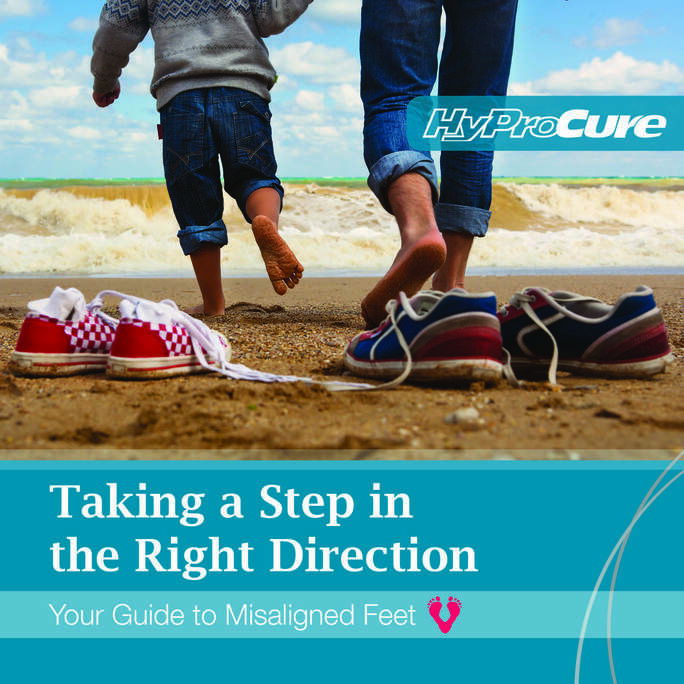 HyProCure is placed in the naturally occurring space between your bones to instantly realign and stabilize the hindfoot. HyProCure will not penetrate or be implanted into your bones. Once placed, it will then allow normal joint range of motion and weight distribution of your body on your feet. Many times HyProCure is performed as a stand-alone, single procedure. However, due to the complex nature of the foot, there may be additional surgical procedures that must also be performed in order to realign or stabilize other parts of the foot. Most HyProCured patients are back to normal walking within a few weeks, but this may vary from patient to patient based on their prior physical condition. The bones, tendons and ligaments throughout the foot and rest of the body will adapt to the corrected position over the following several months. Listen to HyProCure physicians about how HyProCure has positively changed their patients’ lives. 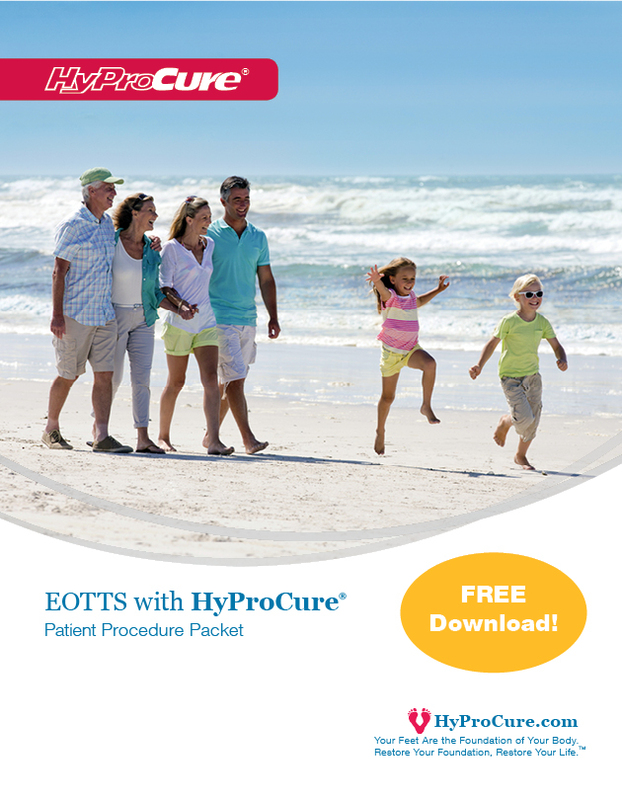 The Patient Procedure Packet tells you everything you need to know before being HyProCured. Download your FREE copy here.